accommodation rental sites operating on the net. need some extra bookings you have just chosen the right site to add your property. guarantee you a high percentage of confirmed reservations. and apartments and we receive all types of inquiries daily. You are given a username and password on joining, and you use this to update your availability on our site. When a guest decides to reserve your property, he enters his credit card details and confirms his booking. 15% of the booking amount is charged to his card as a booking deposit. time. The guest pays the balance on arrival. When you register, you are given a username or password using this username and password you log in and add your property. When a guest wishes to reserve your property, they send an "Availability Request" to you (copy goes automatically to us also. You reply to request (Yes or No), a copy comes to us, and a copy goes to the guest. If you said, YES and the guest wishes to book they just go to the payment link and fill in their details with a credit card and the booking is then confirmed. We charge his card 20% of the booking amount as a booking deposit. You also receive a confirmed booking mail informing you of the booking you have just received. Properties offering Real time live reservations receive an average of 50% more reservations than properties on a request basis. Guests will just not wait anymore, Everyone wants instant bookings nowadays and do not want to wait for replies to emails. If you are a property owner and you want to receive bookings from us, contact us. There are always rules and renting your property is no exception. Check out the following links for details on the cities rules. Letting your home, apartment or houseboat for a short period in Amsterdam may fall under different categories: (i) private vacation rental, or (ii) bed and breakfast. 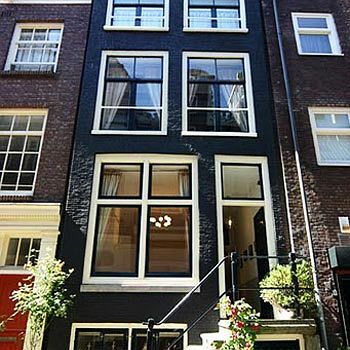 The city of Amsterdam's website specifies the conditions to operating a bed and breakfast in your home and how you can register to start your bed and breakfast. The income you earn by renting your property can be taxed and in some cases you have to pay other taxes. Below are some links that may be useful. Tax. The city of Amsterdam on its website shows how the tax in principle works in Amsterdam. However, AmsterdamStay is signing an agreement with the municipality of Amsterdam to collect the city tax on behalf of the all hosts currently not paying city tax. Owners / Agents need not do anything. If owners / agents already have tax added to listings then nothing will change. Income tax. Tax information can be found here on its website this information can be useful when you intend on temporarily letting your property. VAT. In some cases, VAT regulations apply to rental activities. Check the VAT website for more information on v.a.t and if you have to pay vat.